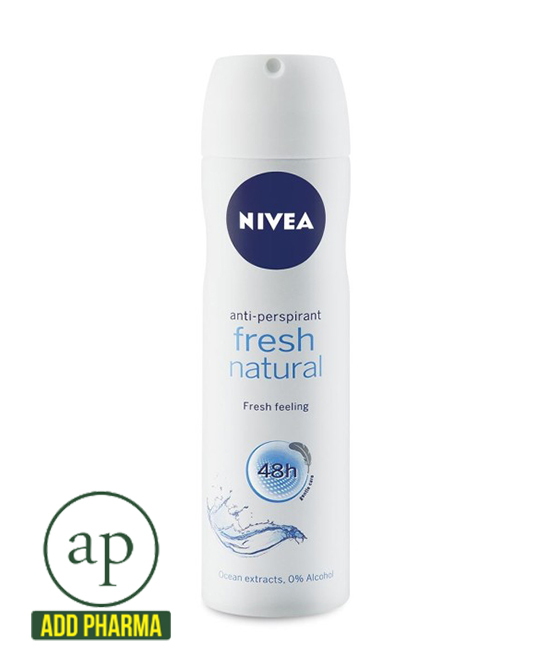 NIVEA DEODORANT FRESH NATURAL with ocean extracts offers the true confidence of 48h effective deodorant protection providing a fresh feeling. The optimal combination of reliable deodorant protection and NIVEA’s mild care. Directions: Hold can 15 cm from the underarm and spray. Do not apply to broken or irritated skin.